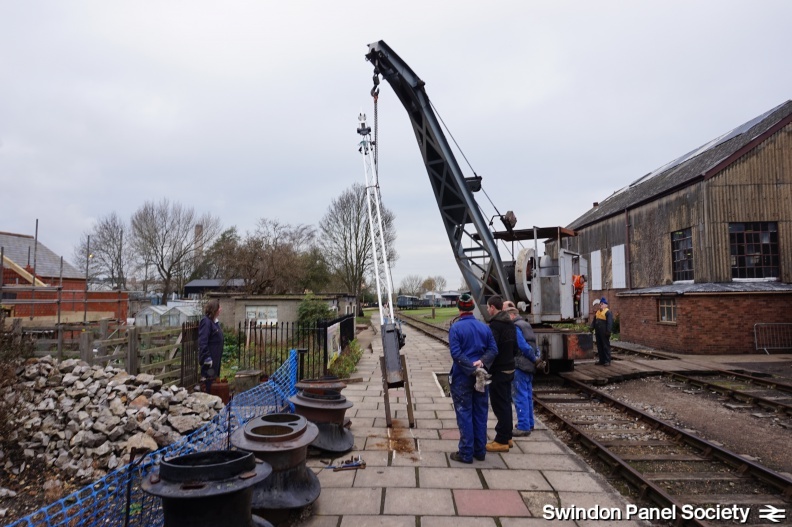 On Sunday 22nd November the S&T Department, with the valued assistance of Maurice and the crane, erected a new signal at Didcot – the first for quite a number of years. The structure in question is the unusual (for the GWR) lattice post signal originally installed at Wheatley at the turn of the last century and acquired by the Society in 2012. Since that time it has been restored at the back of Winscombe hut under the direction of Chris Chalet. 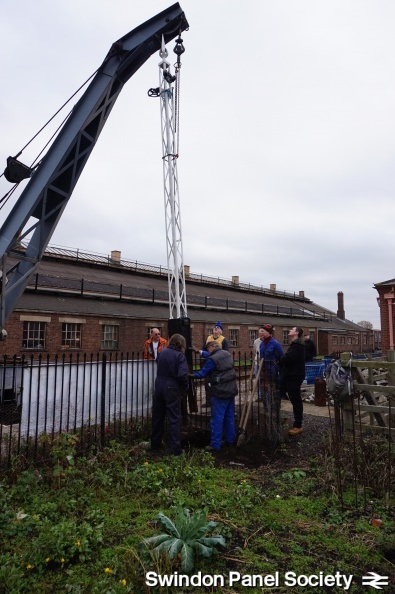 When fully fitted up, the signal is destined to become an interactive exhibit as part of the new signal building, and is the first item to be installed in that area. We hope its arrival will spur others on! We would also wish to thank Pete Gransden for giving up a couple of square feet of his garden to this post, we can only hope that he doesn’t try to trail runner beans up it… The ladder, lamp and arm will be fitted early in the new year. Meanwhile a second interactive signal for internal display in the new building is now under restoration, with fittings being wire brushed and painted in early December. Thanks for answering our questions Martin!